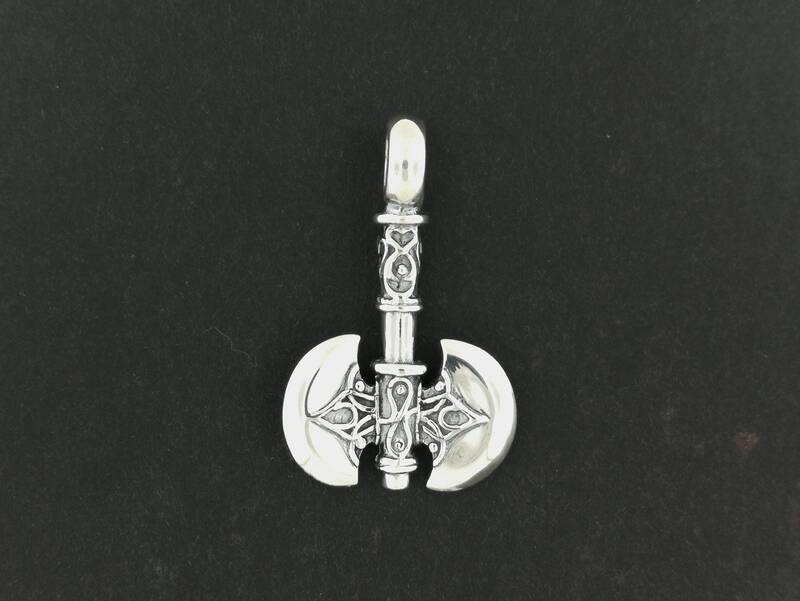 This handmade battle axe pendant is made in sterling silver, and is 1 3/4 inches long and 1 inch wide. The bail is rather large, and can easily handle a 1/4 inch chain. It's a very solid piece, and can easily be worn every day.